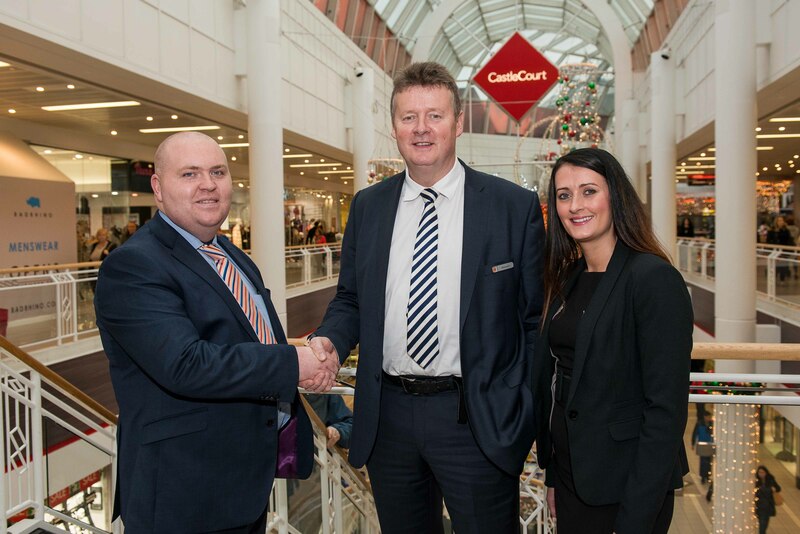 NORTHERN Ireland’s largest independently owned security company Mercury Security Management Ltd has been reappointed to provide a complete security solution to CastleCourt Shopping Centre following a rigorous tender process. One of the country’s biggest and busiest shopping centres, CastleCourt, in the heart of Belfast’s busy city centre, first opened its doors in 1990 and with an annual footfall of 14 million customers and over one million vehicles every year, the Centre’s security requirement is one of the biggest in Northern Ireland’s retail industry. Lisburn-based company Mercury, which also has offices in Dublin, Limerick and London, boasts an impressive portfolio of retail clients and shopping centres including the Kennedy Centre, Abbey Centre, Park Centre, Connswater, Bridgewater, Monaghan Shopping Centre and the Diamond Centre. The CastleCourt contract was first awarded to Mercury in 2012 after the company pitched an integrated security solution that combined 24-hour manned guarding with the latest CCTV and monitoring technology to protect the assets of the shopping centre and its tenants. Earlier this year CastleCourt initiated a tender process for the renewal of the contract and Mercury has been successfully reappointed to provide a security solution which now includes the management of the Customer Service desk. As part of the contract, a core team of well-equipped and fully trained security officers, with fast access to additional support and resources if required, will service the account, along with additional skilled staff with extensive customer relations to man the Customer Service desk. Mercury Security director Liam Cullen, Executive Sponsor of CastleCourt said: “This is a very prestigious contract and everyone at Mercury Security is delighted to be renewing our successful partnership with the team at CastleCourt Shopping Centre. “We believe that with our retail experience and attention to detail, our integrated solution of manned guards alongside the latest security technology, supported by our award-winning NSI Gold Command and Control Monitoring Centre will provide vital protection to the Centre and its tenants,” he added. 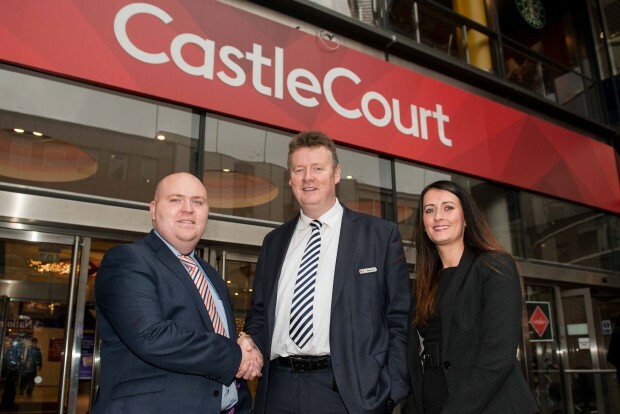 Stewart McConnell, CastleCourt Security Manager, said: “At CastleCourt we pride ourselves on the excellent standards of security we have maintained over the years and we are confident that Mercury Security Management will continue to enhance that going forward. “Ours is very much a customer-focussed security operation so we are extremely happy to continue to work with Northern Ireland’s premier local security company which has an in-depth knowledge of local issues and, more importantly, how to address those issues. “The management team at Castlecourt are therefore delighted to continue the excellent relationship with Mercury for another three years based on their past performance and promise of enhanced service delivery through technological innovation, quality manned guarding and Business Continuity Support. “As one of Northern Ireland’s leading security providers servicing the majority of Northern Ireland’s premier shopping centres and retail outlets, their vast experience underscores the reasons why I look forward to a continued successful partnership together,” concluded Mr McConnell. Mercury Security Management Ltd provides bespoke stand alone and integrated security solutions to clients across a number of sectors including retail, finance, government, residential, transport, public sector, hotels & Leisure, construction etc. Founded in 2001, Mercury Security Management Limited is Ireland’s largest independent Security Management Company, with Headquarters in Lisburn, County Antrim and offices in Dublin, Limerick and London. For further information on Mercury Security Management and its services, call 028 9262 0510, click on www.mercurysecurity.biz or email info@mercurysecurity.biz.